Although we have had our suspicions about this, there wasn’t really a link; until now. An interesting piece of research on “Groundwater depletion embedded in international food trade” was just published in Nature on 30 March 2017. The paper warns of alarming rates of worldwide groundwater depletion (GWD) due to irrigation withdrawals. Estimates are that around 11% of non-renewable groundwater is embedded in the International food trade. What has this got to do with fashion? Well, the title of the Nature paper is somewhat misleading: it should have said “Groundwater depletion embedded in crop trade” not “food trade”. A deeper dive into the results shows that some of this over-abstraction was down to the cotton crop. 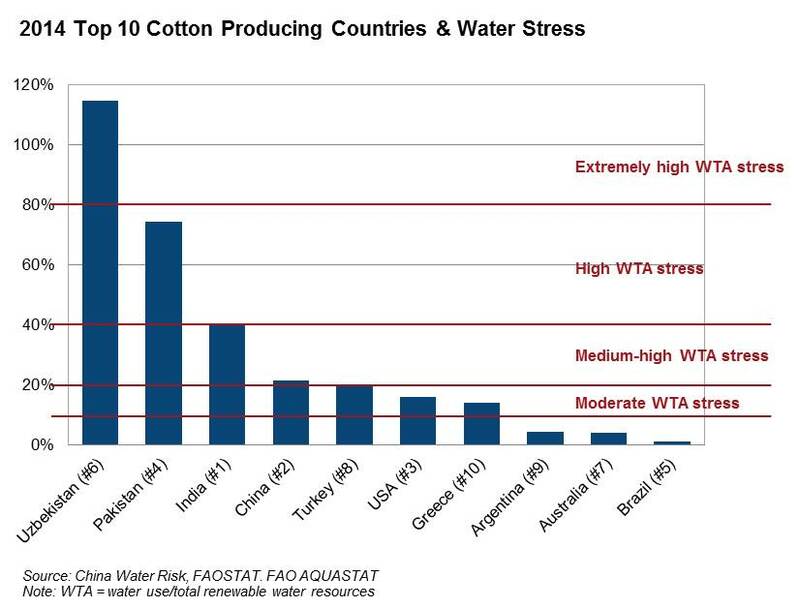 Cotton was amongst the Top 5 crops leading to the most depletion globally – wheat (22% of global GWD), rice (17%), sugar crops (7%), cotton (7%) and maize (5%). That said, the trade in cotton alone accounted for 11% of global GWD transfers, with rice topping the list at 29%, followed by wheat at 12%. Maize and soybean are more water efficient crops, only representing 4% and 3% respectively. Who’s sucking up whose aquifers? A glance at chart below indicates that Pakistan, USA and India are exporting GWD through trade. These three are the largest exporters of GWD, accounting for two-thirds of all GWD embedded in the crop trade. Rice leads Pakistan’s GWD exports at 82% – mostly to Iran, Saudi Arabia, Bangladesh and Kenya. Cotton, however, drives USA’s GWD exports at 24%, followed by wheat (16%) and maize (10%) to China, Mexico and Japan. Meanwhile, for India (#3 GWD exporter), nearly half of the over-abstraction is caused by rice (25%) and cotton (24%). In short, cotton accounts for a sizeable amount of GWD exports by USA and India. So who’s this cotton going to? 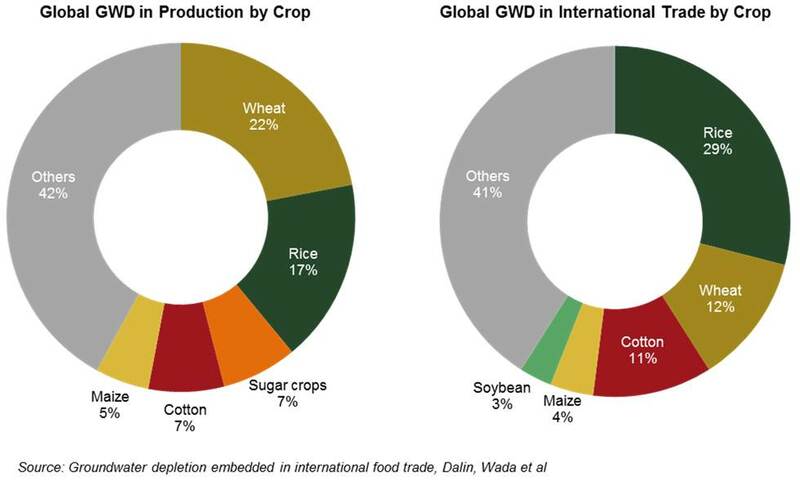 It appears that the beneficiary is China; almost half of China’s GWD imports are from cotton, whereas soybean, which China does import a lot of, only accounts for 14% of GWD imports. From the research, it appears that demand from China along with USA, Mexico and Iran are sucking up other people’s aquifers. But before we start blaming China, the truth is that China is not the only end user of its cotton imports. 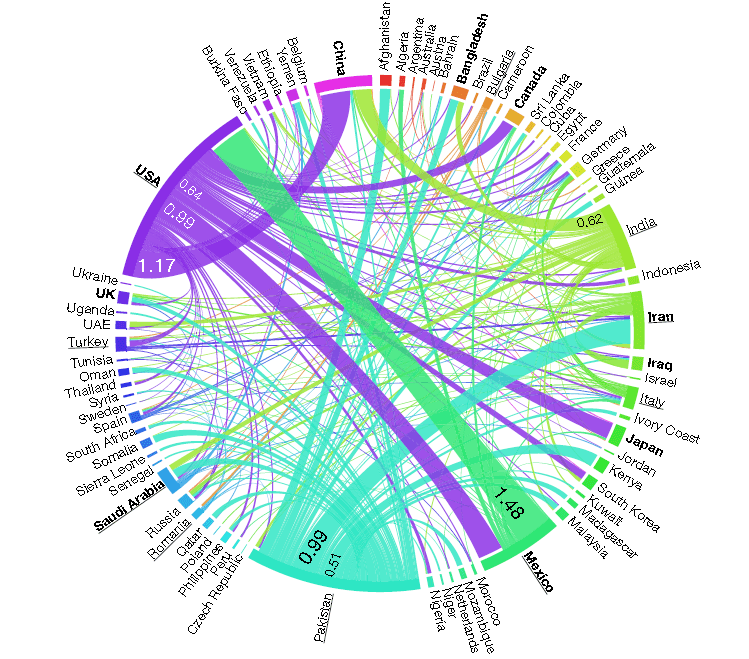 Clothing & Textiles form the largest chunk of its industrial virtual exports – see chart below. 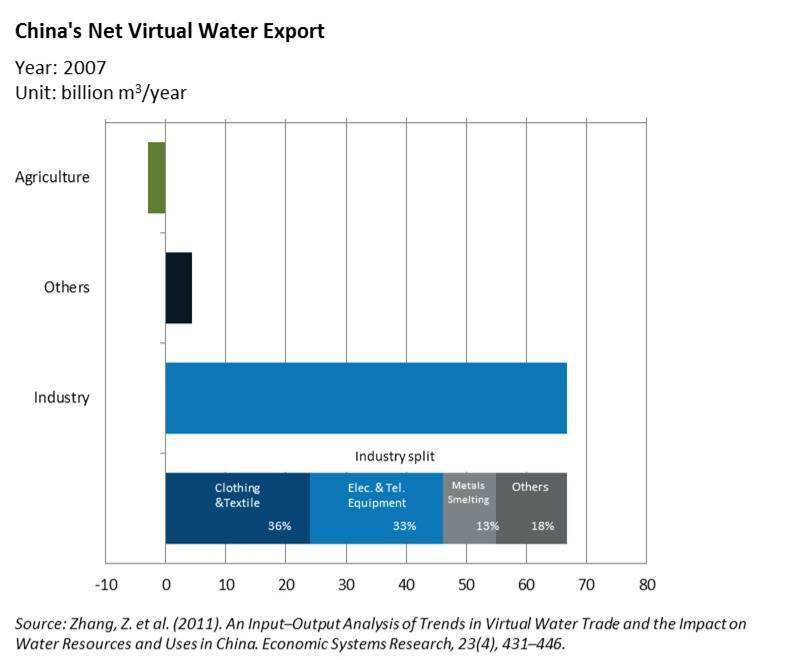 In fact, China makes so much stuff for the rest of the world that it is a net virtual water exporter despite its agricultural imports. 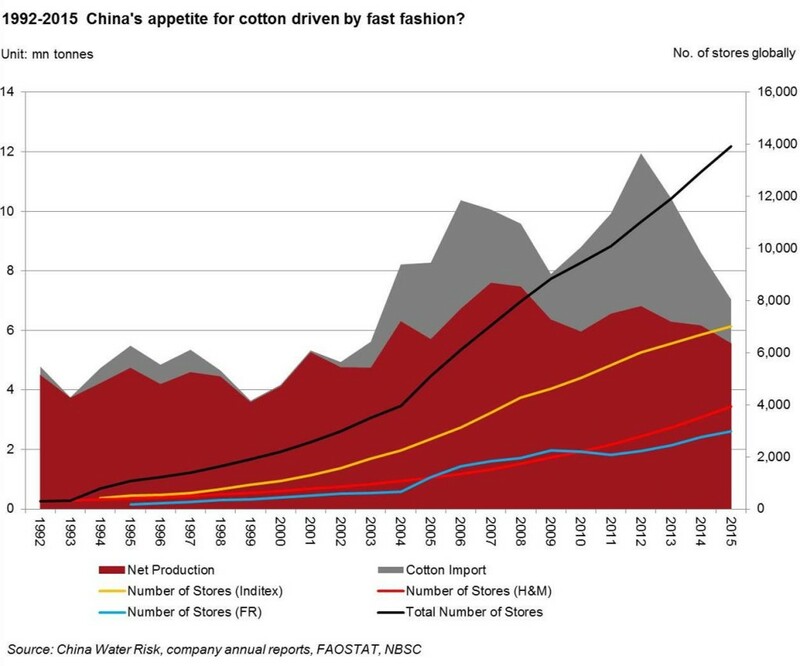 So what is really driving demand for cotton in China? Zara, H&M and Uniqlo et al ultimately driving China’s cotton appetite? China only began seriously to import cotton in the early 2000’s. We argue that this increase in appetite for cotton imports is driven by the meteoric rise of its manufacturing prowess for fast fashion. The chart below says it all – cotton appetite in (imports & domestic production) China rising in tandem with store openings of Inditex (which owns Zara), H&M and Fast Retailing (FR – which owns Uniqlo). Of course these three brands are not the only ones to blame; there has also been a similar explosion of stores in Target, Walmart, M&S stores in the same period. And let’s not forget the stellar rise of on-line shopping. However, since it is difficult to pin down which store is just a clothing/ food store, we used store openings of the three clothing brands for illustrative purposes. With fast fashion driving the search for the cheapest prices in the supply chain, the price differential between domestic and international cotton drove China to import cotton. China’s biggest trade partner has traditionally been the USA. But in 2011, cheaper cotton and shorter transportation times from India meant that the country overtook the USA to become China’s biggest trade partner for cotton. Today, the Top 5 cotton nations that China is importing cotton from are: India, USA, Australia, Uzbekistan and Brazil. Meanwhile, China’s homegrown cotton storage stockpiled to over 12 million tonnes by 2013-2014. Since then, China has reduced incentives to farm cotton in the parched North China Plain. So while China’s own cotton production and imports fell in 2014, global production was still on the rise. 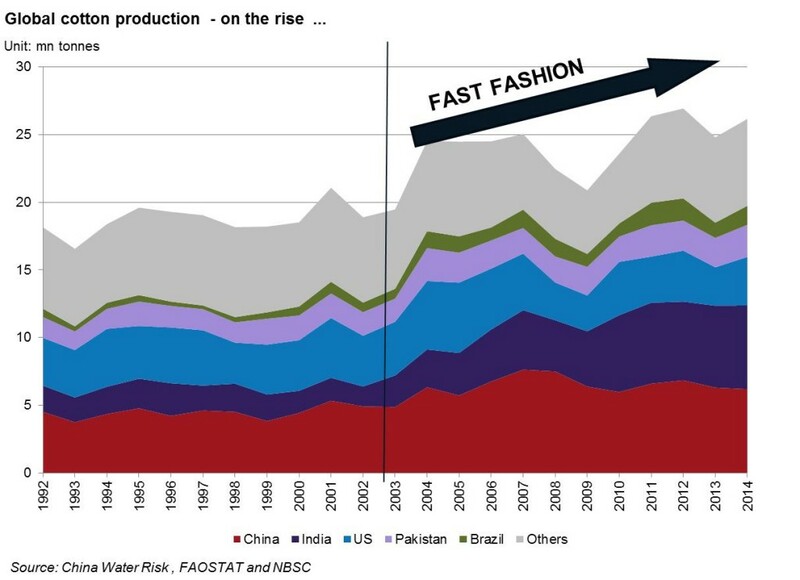 As can be seen from the chart below, global production of cotton has been only rising markedly over the last decade. An increase in global crop production has an impact on groundwater. Over the last decade, global GWD in crop production has increased by 22%, with the biggest deterioration from China (102%), India (23%) and USA (31%). The paper published in Nature warns USA, Mexico, Iran and China are particularly exposed as they produce as well as import food irrigated from rapidly depleting aquifers, including those in NW India, the North China Plain, central USA & California. Given that China’s largest trading partners for cotton are India and USA, we can broadly say that the likes of Zara, H&M and Uniqlo, or anyone else in fast fashion selling cotton products are causing groundwater over-extraction in USA India and even in China, which itself grows a quarter of the world’s cotton. So more stores = more stock and as four-season fashion moved to 52-week fast fashion, global cotton production also grew. So actually, we are depleting our aquifers globally for something we don’t eat. Also, why are we growing virgin cotton when we can recycle? 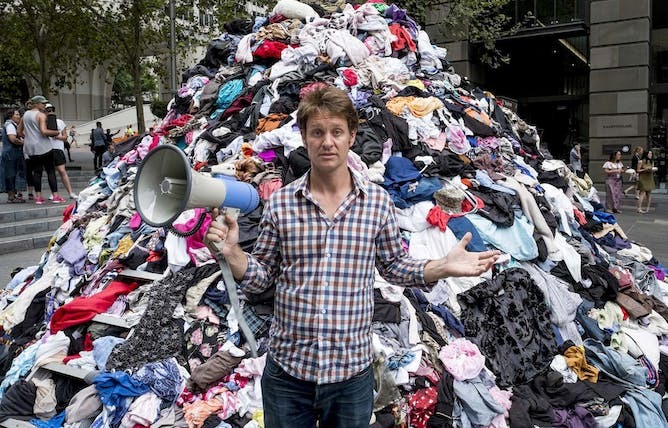 Worse still, the business model of fast fashion is premised on encouraging us to throw away the garment after one week of use, if we are going by 52-week fashion. And if that is not enough, let’s not forget that the cotton crop is also dirty, sucking up significant amounts of global insecticides and pesticides. So not only is cotton sucking some areas dry, it also causes groundwater pollution, which in turn exacerbates scarcity. In China, the over-abstracted North China Plain, where a quarter of China’s cotton is grown, faces severe pollution: >70% groundwater is unfit for human touch. Most brands are only visibly dealing with the “dirty” part of the crop. Many of the more responsible brands can tell you how much of their cotton is organic or ‘Better Cotton’. However, we are not aware of any major high street fast fashion brand that discloses just how much cotton they have sourced from where. Sucking aquifers dry in countries that are already facing water stress is clearly not a priority for action. Where & when does this stop? For cotton, the answer is staring us in the face: switch to slow & more expensive and durable fashion that reflect the scarcity and polluting nature of fashion raw materials; switch to recycled cotton; or, better still, switch to hemp. Brands: surely it’s time to invest in any and/or all of these changes and not wait until the aquifers in USA, China, Pakistan and India are sucked dry. Too far-fetched? Think of what cotton-growing did to the Aral Sea: a volume loss of ~70% between 1960-2000 due to water diverted to grow cotton in the desert. Who should be held accountable? Governments, brands or the consumers? Fashionistas, it is also time to face up to the ugly truth. You are partly to blame for over-extraction of groundwater. The frivolity of throw away fashion means that you are only beautiful on the outside. Ultimately, we are all to blame. Almost everyone will have at least one cotton T-shirt in their wardrobe. If this makes you, the consumer, feel uncomfortable, start demanding your favourite brand to (1) tell you where it sources its cotton and (2) guarantee that it is not causing groundwater depletion. This entry was posted in Water and tagged Agriculture, better cotton, China Water Risk, Cotton, Fast Fashion, groundwater depletion, organic, organic cotton, organic farming, water depletion. As a responsible shopper looking to do the right thing, you might think if a brand is openly talking about their environmental or labor practices, they’re probably legit. And if they show you a picture of a happy worker or an NGO partner, it’s probably a sign of good intent and practices, right? Swipe that credit card. Buyer beware — greenwashing is definitely a THING, and it’s not just the big fast fashion brands. But recently, savvy readers, like yourselves, have been asking more questions about the credentials of smaller “ethical fashion” or “eco-fashion” brands, and whether their practices add up to all their marketing. Greenwashing is never good. But with the smaller “ethical” new kids on the block, it’s almost even more dangerous if they don’t stack up to their claims. It seeds pessimism and cynicism among consumers, just as a new vision of a sustainable industry is starting to gain traction. So over the last month we did a mini experiment to dig into the practices of a few exciting and popular “ethical” brands, who outwardly celebrate their positive impact, intentions or transparency, and see what evidence they had to back up these assertions. We studied their websites and social media, contacted them through numerous channels, looked at publicly available records and everything else we could find. We did an intensive search beyond what a consumer could do in an afternoon, but without using any tools you wouldn’t have at the ready. We went to these brands with a lot of questions surrounding labor practices, environmental practices, community engagement, management practices, size and business model, intention, innovation and transparency. 1. First, check out what kind of fabrics / materials they are using. Fabrics are an easy way to really change the impact of a supply chain for the better. PLUS it’s a super easy way for you as a shopper to know which brands are serious about changing the game. Raw materials are a big portion of the product, and consequently, its environmental and social impact. As a designer or a brand, committing to a restricted set of fabrics can be difficult — sustainable fabrics can be more expensive and not as easy to source — but it pays off in both your impact and performance in the end. So how did the brands we picked stack up? Kowtow uses organic and fair trade cotton. Organic cotton is proven to be significantly better for people and planet, and fair trade means farmers and workers get fair wages for their work. 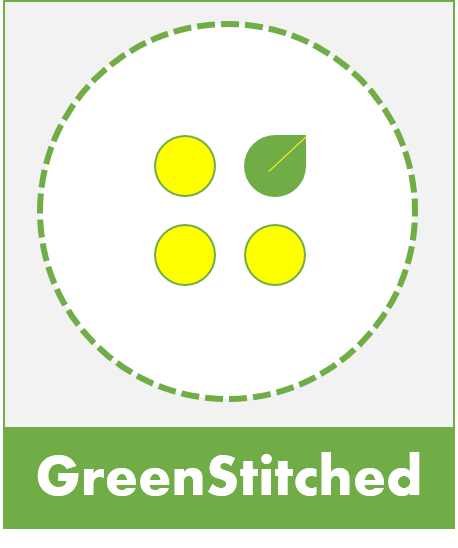 Krochet Kids uses some sustainable fabrics, but also uses acrylic and polyester (oil). 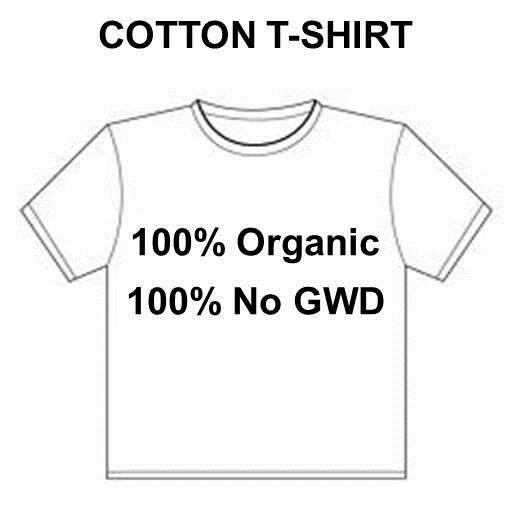 They’re in the process of rolling out an organic cotton line. While Everlane uses some natural fibres, none of them are certified from sustainable supply chains — you can read all about the impact of basic fabrics here. And, they also use synthetics like nylon (again, oil). Warby Parker uses cellulose acetate, titanium, and stainless steel in its frames for both eyeglasses and sunglasses. Cellulose acetate is usually made from wood pulp. In February 2014, the brand reported via its Facebook page that Warby Parker frames are made of acetate that comes from a family-owned Italian manufacturer. 2. Second, do they have any certifications? When you’re shopping, check out the tags — any symbols or certifications there? A certification offers a brand a rigorous program of standards and assessment, and a signal to shoppers of monitoring, high standards, and intention. A brand doesn’t have to have a certification to do good work, but often times, brands use them as a roadmap to build out a more sustainable supply chain. You have to be cautious though — some certifications aren’t that rigorous, or have major flaws in monitoring or auditing what’s actually happening on the ground. You can read more about certifications in our New Slang dictionary. Kowtow has organic and fair trade certifications. Plain, simple and thorough. Warby Parker is a BCorp, but we couldn’t find any information about what this means in terms of their environmental impact, or how they treat their workers. However, their recently released response to the California Transparency in Supply Chains Act means that the brand has now made its Code of Conduct publicly available (check out this release of new information on our Warby Parker brand page). Krochet Kids is launching an organic line, and has their own special impact measurement tool that they use at each of their facilities. Everlane doesn’t have any certifications that provide us with an easy signal to show that they’re trying, but it’s clear they like to set things up their own way. For their supply chain, they have three pillars of work: they started with transparency, are currently building their compliance, and sustainability is next. They do hold the factories they work with accountable to a 85% or higher score on the labor audit. If they don’t hit the mark, they step in with a corrective action plan, in partnership with their auditing firm, Intertek, to help. Certifications aren’t for everyone, nor do they always work, but for the shopper and for us, it’s an easy way to know what standard a brand is holding themselves to, what are their intentions and to look into what’s actually happening to meet it. 3. Third, how transparent are they… really? This basically comes down to what — and how much — they’re truly sharing with us. What’s on their website? Their social media? What data do they share to back up their claims of social or environmental impact? Everlane: As fashion supply chain nerds, ever since this brand came out with their tagline, radical transparency, we’ve been curious to know what constituted “radical” from the information they shared. After all, “radical” by definition implies something beyond average. But, when we looked on the Everlane website, we didn’t really find much beyond where some of their factories were located, and what they made. What were we looking for? How they guaranteed fair wages and safe working conditions, what kinds of environmental policies they had in place, and their intentions for future improvement. So we reached out to their team with a list of questions, and low and behold, got to sit down with the Founder & CEO, Michael Preysman —getting serious now. So why isn’t all this info available on their website? Michael said (paraphrased) that they prefer not to reveal their work until it’s fully complete, so that the company can figure the right strategy to communicate the information to their customer, in a way that makes sense. You tell us. Given that these guys have shaken things up before, we’re excited to see what they churn out in the coming months to truly be “radical” in their supply chain practices. More than just transparent pricing? Warby Parker: When it came to Warby Parker, we received not one answer to our questions. Not one! Between January and February 2017, we reached out six times to the PR company and twice to the brand, who then redirected us back to the PR company (head spinning emailing 😕). This brand that claims positive social impact, and even has a BCorp certification (! ), never answered our questions about whether they can trace their entire supply chain, where their suppliers are located, if they have a code of conduct, how much the workers in their supply chain are paid, how they monitor their social and environmental practices, and what their goals are to decrease their negative impact. In just the last two days, they did release a new set of info to comply with the California Transparency Act. Great – but we’ve still got questions. Kowtow and Krochet Kids: These two brands both have a lot of information available on their website. Krochet Kids was willing to answer any question we threw their way, while Kowtow had enough info on their website and via their certifications to thoroughly answer our questions. 4. Do they express intention for improvement? No brand is perfect. But given the major impact of fashion supply chains on people and planet, it’s important to at least have the intention and plans to continue to improve. Do they have goals on their website? Any plans that they share with the media, or consumers? Krochet Kids told us all about their future plans. So did Everlane. Warby Parker — no answer and nothing available on their site. And finally Kowtow, who by committing to only use fair trade and organic cotton, has restricted their growth and made a sustainability commitment for the long run. 5. Fifth, and finally, will they get back to you / us / anyone? When you ask a question — do they respond? And do they give you a straight answer? After we emailed them this month, Everlane gave us a sit down with their founder & CEO. We had also reached out to them before with questions through various consumer channels, and had received responses — but not nearly as comprehensive as this. We appreciate this, but we also recognize that not everyone is afforded this kind of access. We hope they continue to strive to be as responsive to consumers as possible to attain this same standard of radical transparency. Krochet Kids’ CEO and COO had a phone call with us after they answered our comprehensive survey. We were impressed with their brand, and especially with their willingness to share and open up to us. Kowtow and Warby Parker both didn’t answer our repeated efforts to get in touch with them with our questions. That said, Kowtow has a ton of information about their brand and practices available on their website for anyone (not just supply chain dorks like us) to see. Warby Parker? Not so much. In this day and age, with consumers buying products made by global supply chains, and with issues of human trafficking, child labor, worker abuse and environmental violations — the consumer should have a right to know how the product they’re paying for is made and be able to see the evidence to back it up. And with brands like these, consumers should also know legitimately that the brand’s vision and proclaimed values match how they treat workers in their supply chain, and how they treat our planet. If you’re paying, you deserve to know. So don’t get taken for a ride— keep searching, keep asking questions and tell your friends to ask, too. From our experience, you might even get to sit down with the CEO. This entry was posted in Brands, Manufacturing and tagged BCorp, eco-fashion, ecofashion, ethical fashion, ethical manufacturing, Everlane, Fairtrade, greenwashing, infographic, Kowtow, Krochet Kids, organic, organic cotton, ProjectJust, Social, transparency, Warby Parker, Zara. Textile Exchange, a global nonprofit organization that works to accelerate sustainable practices in the textile industry, today announced the findings of a comprehensive Benchmarking report that measures the progress of 57 leading textile companies in their effort to become more sustainable. The Benchmark Program for Organic Cotton and Preferred Materials will be shared with the textile industry; primary goals being collaboration and shared learning amongst companies that regularly compete. The 57 participating companies submitted detailed data about their organic cotton and other “preferred materials” use to Textile Exchange for analysis and comparison across the industry. These companies range in size from small start ups to global brands and share the common goal of improving sustainability efforts across their supply chains. • 93% of companies report to have a vision or mission to be more sustainable. • The majority (81%) are addressing raw materials use at the strategy level and 74% are setting individual targets for specific materials. • 70% of companies use a voluntary sustainability standard to help them ensure the integrity of their organic products and 64% are tracking other preferred materials. • 74% are reporting the amount of organic cotton they consume. • 81% claim to be communicating the sustainability attributes of their products to their customers. • Policies on raw materials (69%) and animal welfare (44%) are lagging behind human rights and ethical trade (81%). • Setting long-term goals for a preferred material portfolio (57%) were less common than setting targets for specific materials (74%). • While 73% of participants could provide data on organic cotton, the numbers dropped off dramatically for other preferred materials. This is an area for improvement so that companies’ use of preferred materials such as recycled polyester and preferred cellulosics (such as lyocell) can be better analyzed. “Textile Exchange’s Benchmark Program provides a framework for the industry. Companies working to improve their impact on the environment, natural resources, people and animals can compare best practices and results. Our aim is to have these companies learn from each other and even feel a sense of urgency to make improvements similar to those of their colleagues in the industry. As we move beyond the pilot phase we’ll also be encouraging more companies to join in,” explains Liesl Truscott, European and Materials Strategy Director. 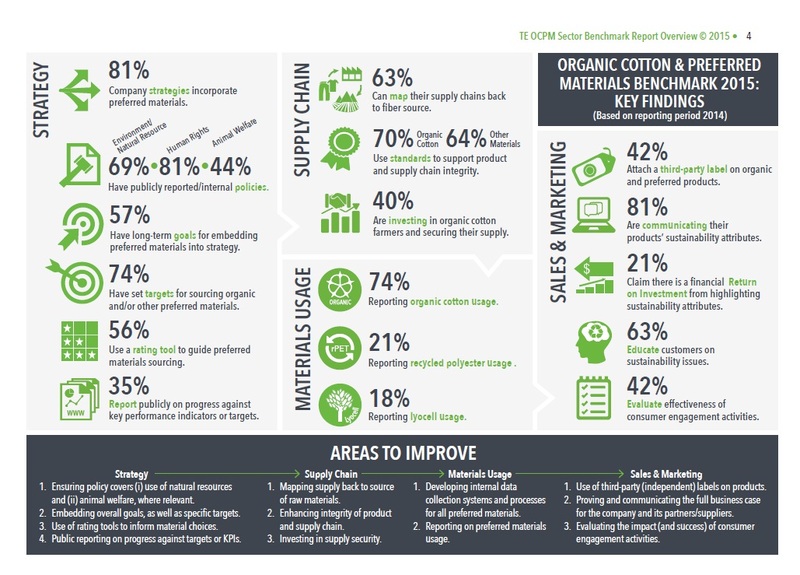 Textile Exchange, through the Benchmark Program, gathers data on all aspects of a company’s sustainability performance. TE analyzes this data and determines an overall average for each category. Additionally, each company receives a confidential report that compares reported data from other textile companies in order to identify best practices and encourage more action and investment in key sustainability areas such as materials use, supply chain transparency and more. In this first (pilot) year of the program, companies will receive a comprehensive baseline analysis of their sustainability performance to compare with the sector average. In subsequent years they will be able to chart their own year-on-year improvements and measure their pace of change against that of their peers. The Benchmarking results will be featured at TE’s global Textile Sustainability Conference taking place in October and in a series of Online Workshops for companies that will be launched later in 2015. “We as Tchibo see it as our duty as a business to take on responsibility and initiate change, for example in the cultivation and processing of our cotton. However, it is important that we all work together to change the sector. Therefore, we are proud to support Textile Exchange’s Benchmark Program because it provides further impulse and peer-to-peer learning for the whole sector,” said Achim Lohrie, Director Corporate Responsibility from Tchibo. *This story first appeared on the Textile Exchange website. This entry was posted in Brands, Organic Cotton and tagged organic, report, Tchibo, textile exchange. From organic silk to recycled polyester, high street fashion brands are increasingly seeking high-performing materials with a low impact on the environment. The quest for high-performing, sustainable materials continues apace as the more progressive high street fashion brands seek to create garments using fewer natural resources and generate a lower impact on the environment. More than 1,000 sustainable materials were showcased at the Future Fabrics trade show in 2014. Meanwhile, designers can compare the impacts of diverse materials using interactive tools, and multiple collaborations are forming to develop healthier, low impact materials, pioneer closed loop models or prevent waste, including Fashion Positive and Reclaim to Wear. Organic silk is produced by silk worms living in organically cultivated Mulberry trees. The worms consume the mulberry leaves, converting them into body mass, which they then use to spin their cocoon. Some 500 cocoons are required to produce one T-shirt, according to Swiss silk supplier ALKENA. The company claims that feeding worms on leaves free from harmful chemicals yields larger, healthier cocoons and subsequently more consistent, better quality silk. Organic silk can be sourced in different weights, weaves and colours, and its production often takes place on a small scale among developing communities, including in China and India. Farmers save money by avoiding the use of chemical pesticides and fertilisers, while protecting the environment and producing a fibre that is kinder to human skin. The material features in H&M’s new Conscious Collection, with garments including a black silk tuxedo jacket. You can source beautiful organic silks from suppliers such as Cocccon and Seidentraum. Rubber trees are traditionally grown in plantations in deforested areas of rainforest (although small scale projects to tap rubber using traditional techniques are in place). Opting for recycled rubber offers a more sustainable alternative, as it avoids deforestation and its production generates fewer carbon emissions. Outdoor clothing brand Timberland recently formed a partnership with tyre manufacture Omni United to create a new line of tyres designed to be recycled into Timberland footwear when the tyre treads wear out. Indosole, a collaboration between US social entrepreneurs and Indonesian craftsman, also produces shoes from tyres destined for landfill. Elsewhere, UK fashion brand Elvis & Kresse transforms rubber fire hoses into bags and belts and accessories. With some 280m tonnes of plastic produced annually and less than 10% currently recycled, there is a big opportunity for fashion brands to derive value from plastic waste. Suppliers offering fibres made from recycled plastic include DGrade, Saluzzo Yarns and Bionic Yarn. Fibres are largely spun from post-consumer plastic bottles, as well as plastic bags, and offer the same quality as virgin plastic while using less energy in the production process, and conserving natural resources. Importantly, giving plastic waste a new lease of life also helps to stem the flow of plastic into landfills and oceans. Dutch fashion brand G-Star RAW has gone one step further by collaborating with Bionic Yarn to create a denim clothing line, Raw for the Oceans, made from ocean plastic debris. Elsewhere, EKOCYCLE, a sustainable lifestyle brand founded by will.i.am and the Coca-Cola Company, is partnering with brands including Adidas to create products made partly from PET plastic. Polyester is a synthetic fibre derived from oil. Selecting recycled polyester, which is typically made from plastic PET bottles (suppliers include REPREVE and Eco-fi) – helps brands to reduce their reliance on finite natural resources and prevent plastic pollution. Recycled polyester also requires fewer chemicals, energy and water to produce. Patagonia and The North Face both incorporate polyester made from plastic bottles in garments such as fleeces. The North Face revealed in 2014 that its Denali fleece is made from 100% recycled content. 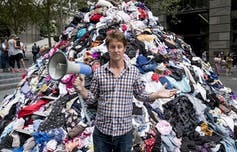 Innovative models to close the loop on recycled polyester are springing up worldwide. Dutch aWEARness has created a circular supply chain for Refinity, its recycled polyester, leasing work clothing to companies and taking it back at the end of the contract to be recycled. Luxury fashion group Kering, innovation business Worn Again and H&M have partnered to develop a technology to separate and extract polyester and cotton from end-of-life textiles. Meanwhile, Japanese chemicals company Teijin has created a ‘closed loop’ polyester through its ECO CIRCLE™ system. Lyocell is a type of rayon fibre made from the pulp of trees such as eucalyptus and bamboo. The trees are cultivated on farms certified by the Forest Stewardship Council, grow quickly and require little water and few chemicals to thrive. Lycocell creates a lower impact on the environment and produces fewer carbon emissions than mainstream, conventionally produced fibres. Additionally, some 98% of the solvent used to dissolve the wood pulp is recovered and reused in a closed loop process. The result is a soft, lightweight fibre, more commonly known as TENCEL®, which is made from FSC-certified eucalyptus by Austrian supplier Lenzing. Many brands source TENCEL®, including Tommy Hilfiger, Levi’s, H&M and Burberry. It can be used in jersey, knits and woven fashion garments as an alternative for viscose, cotton and silk. MONOCEL (similar to cotton) is produced in a similar way, and is made from FSC-certified bamboo. Katharine Earley is a journalist and copywriter, specialising in sustainable business. **This article first appeared on Ethical Fashion Forum blog here. This entry was posted in Brands, Manufacturing and tagged organic, SOURCE, Sustainable materials. ICEA has developed a Standard for Organic Sericulture and Moriculture to bridge the gap between the existing European organic farming standard (EC 834/2007) and sericulture practices. Paolo Foglia of ICEA states: “The approve standard is filling the gap of EU Regulation for Organic Agriculture. In fact, till now, according to Reg (EC) 889/2008, article 7 (Scope) was not legally possible to certify the silkworm making reference to the European Regulation. The formal approval of our standard made from the Italian National Authority for the Organic Agriculture (the Ministry of Agriculture) according to the procedure laid down in article 42 of Reg. (EC) 834/2007, makes now legally possible to certify the silkworm and the cocoons according to the European Legislation. This entry was posted in Manufacturing and tagged European Legislation, organic, Silk, textile exchange.